Due to the Hall Network for Innovation in Public Policy, international relations major Ben Purper ’17 had an internship lined up before he graduated. 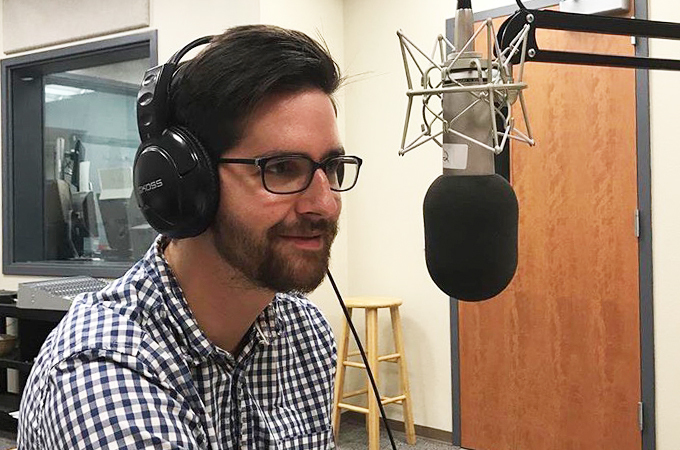 Little did he know that his internship would lead to a paid position as a reporter for KVCR, the local National Public Radio station. During his sophomore year, Purper began writing for the student newspaper and developed an interest in writing about public policy and international affairs. By his senior year, Purper was tutoring students in the Writing Center and working on the Redlands Review, an on-campus literary magazine designed, written, and edited by students. “I became really passionate about journalism because I started to see why it was useful and necessary,” he says.